Josh Gordon said goodbye to the city of Cleveland on Saturday, not long after the Browns announced they intend to release him. 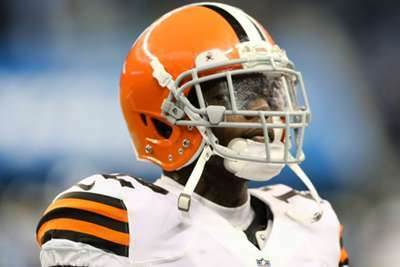 The Browns revealed the 27-year-old wide receiver, who had already been ruled out of Sunday's game against the New Orleans Saints with a hamstring injury, will be let go on Monday. Gordon missed much of the offseason as he took time away from the team to deal with personal matters, but announced his return in mid-August. He has been suspended multiple times for violating the NFL's substance abuse policy, missing the entire 2015 and 2016 seasons before returning last year. "Huge s/o to the city of Cleveland, this place will always feel like home to me," Gordon wrote on Instagram. "I’m extremely honored and blessed to have been able to grow up and start a life amongst such a passionate and motivated group of individuals. It’s been a hell of a journey with you guys. I wish all of you nothing but the best. Thanks to the @ClevelandBrowns organization for having me, I’ll never forget my time here. ‘Same book, next chapter.’ P.S. Anyone need a deep threat WR??"